Saturday night closed the sixth edition of the International Film Festival in Los Cabos 2017, being a resounding success, as already planned with the unparalleled beauty and simplicity of Nicole Kidman, who took the night; between applause, shouts and autographs that hundreds of fans cheered to the Australian actress, which at all times was projected and delivered the heart during this film celebration. 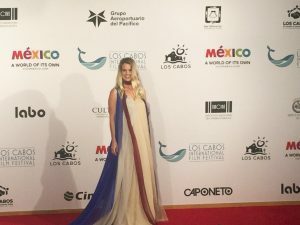 In addition to giving respect to the media who interviewed her for several minutes and took dozens of photographs, the actress and producer also shine like a goddess on the red carpet, posing and demonstrating their good taste when dressing, with that captivating personality that characterizes it. In the closing process, a brief profile of Kidman was announced and once it was finished, the stage was called with great fervor to receive the award that was deserved due to her great professionalism “Life Time Archievement Award 2017” that the Australian in an exciting way and with a very expressive look, said to all those present – “Thank you very much, it is very important to receive this distinction” wrapped in applause and smiles, dismissed the film event and she invite to continue supporting the effort of all those who made possible “The 2017 Los Cabos International Film Festival”. 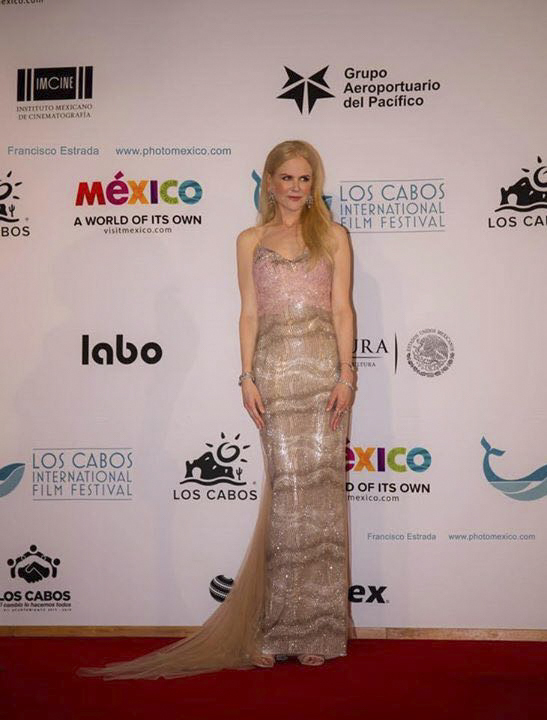 This entry was posted in Event, Festivals, Los Cabos, Los Cabos Film Festival 2017, Los Cabos Social Events, November and tagged Cabo San Lucas, Life Time Archievement Award 2017, Los Cabos, Los Cabos International Film Festival, Mexico, Nicole Kidman on November 13, 2017 by Rebeca Valladares. 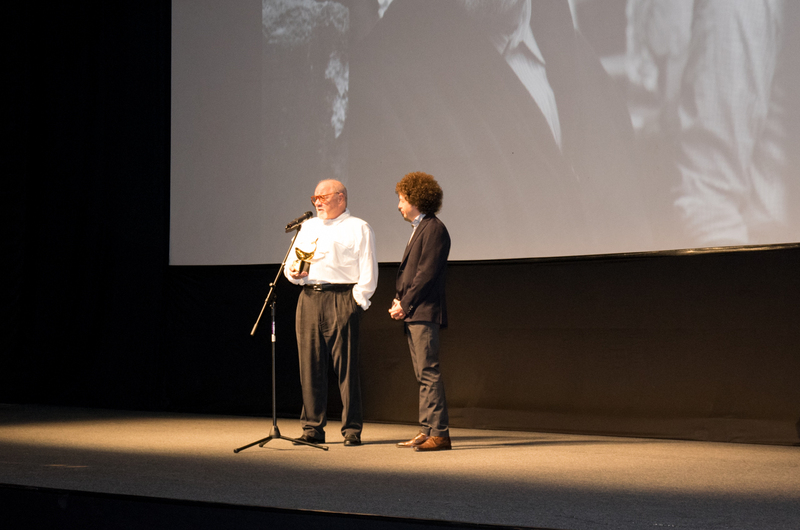 During the sixth edition of the International Film Festival in Los Cabos 2017, a well-deserved tribute was paid to the director and screenwriter PAUL SCHRADER, who with great joy emphasized the great differences that exist in the current and the old cinema, without underestimating and in a very objective way the cinematographic director mentioned before the media, the ease with which cinema can be made in these times, with the full support of technology and the new requirements to shoot a film, there are no rules and all they can do it … he also affirm that it is “wrong” to generalize the Hollywood industry, since today, you can enjoy films that do not belong to that industry, and even the study systems that previously financed Universal, 20ht Century Fox, Warner among others, now invest with Netflix, Apple, Google and Amazon, being the film production of this moment and the most searched. Through the festival two films of his most symbolic works were programmed, such as Mishima, a very radical creation for the American director, and First Reformed, a very personal work that has been presented at the last Mostra of Venice, a film with reflection on the care of the environment; of which Paul Schrader added – “it’s too late, no one listens, they are not interested … it’s what one gives to the grandchildren”, with these words he conclude to continue enjoying the fabulous tribute that the International Film Festival prepared him, happy and proud to be the only film director to receive such recognition. 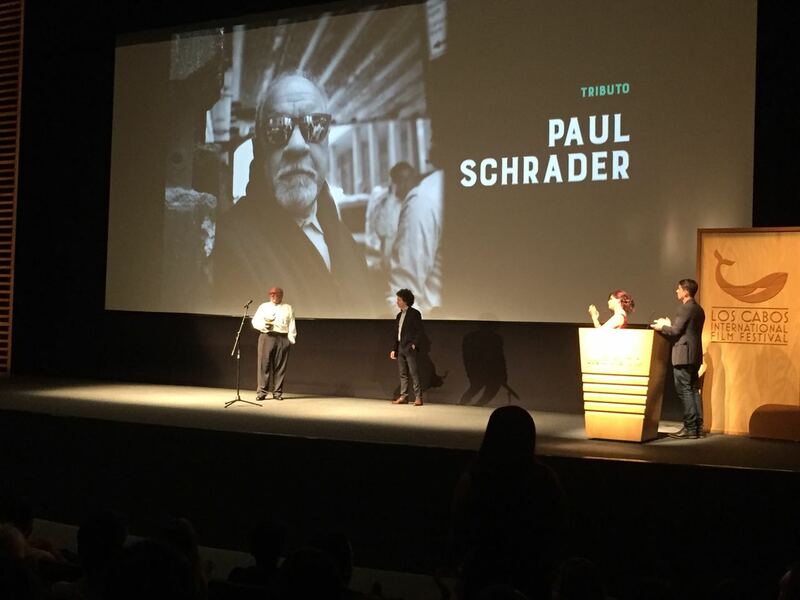 This entry was posted in Event, Festivals, Los Cabos, Los Cabos Film Festival 2017, November and tagged Cabo San Lucas, Films Festival Los Cabos, Los Cabos, paul schrader, tribute on November 11, 2017 by Rebeca Valladares.